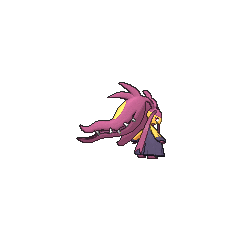 Mawile in game: 6,528 Who? Important notice! Pokemon Mawile is a fictional character of humans. Mawile is a short, bipedal Pokémon with a pale yellow body and black arms and feet. Its legs have a thick, fur-like covering resembling hakama or a skirt. Its most notable feature is a pair of large black jaws emerging from the back of its head. These jaws have an oval yellow spot on their top surface and contain ten pointed teeth - six on the top row and four on the bottom. 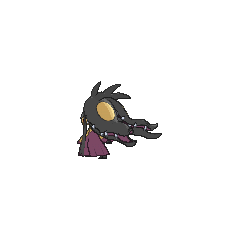 While the jaws are said to actually be transformed steel horns, Mawile can articulate them at will, using them to bite enemies and chew through iron beams. It has red eyes and two black ear-like extensions on either side of its head. Mawile is typically found in caves. 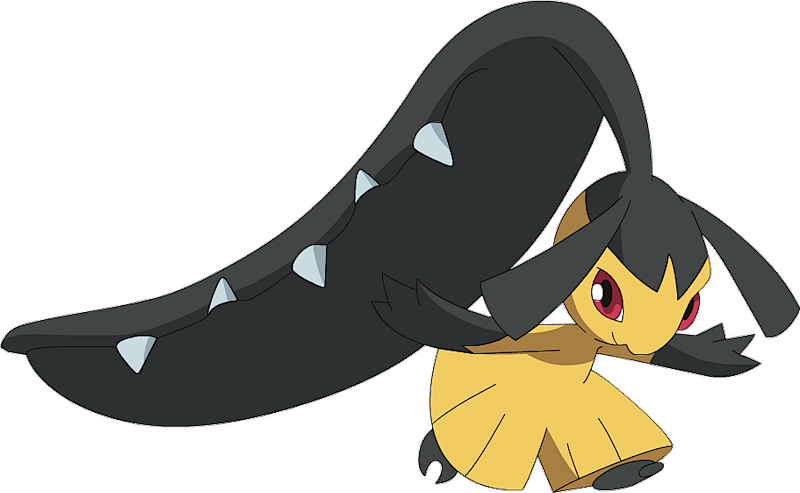 It uses its non-threatening appearance to make foes underestimate it, then attacks with its giant jaws; when engaged in battle, Mawile usually has its back turned on the enemy to better use its jaws. Mawile first appeared in Once in a Mawile. 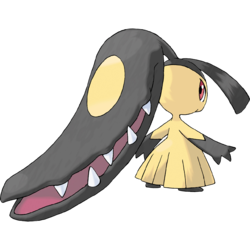 The Deceiver Pokémon was owned by a woman named Samantha, a performer in a show, and had a crush on Brock's Lombre, but Lombre didn't feel any affection for Mawile. After the Jolly Pokémon evolved into a Ludicolo by finding a Water Stone in Samantha's backpack, it finally found itself affectionate toward Mawile. 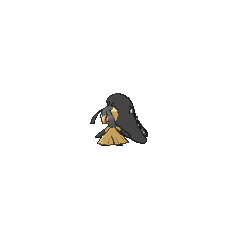 However, Mawile decided it didn't like the fully evolved Ludicolo and moved on to another boy's Psyduck. In The Bonds of Mega Evolution!, a Mawile that can Mega Evolve into Mega Mawile appeared under the ownership of Mabel. Mabel used Mawile in a fight against Korrina's Lucario. Due to Mega Lucario not listening and raging out of control Mega Mawile was easily able to win. A Mawile appeared in A Festival Trade! A Festival Farewell? under the ownership of Count Pumpka. It was later traded to Jessie for her Pumpkaboo. After Pumpkaboo evolved into Gourgeist, Mawile was traded back to Count. Mawile made its debut appearance in a cameo in Destiny Deoxys. A Mawile appeared in a fantasy in Three Jynx and a Baby! Mawile has made cameo appearances in Lumiose City Pursuit! and A Blustery Santalune Gym Battle!. A Mawile that can Mega Evolve into Mega Mawile appeared in Mega Evolution Special I. Another Mawile that could Mega Evolve also appeared in Jessie's fantasy in A Festival Trade! A Festival Farewell?. A wild Mawile appeared in The Cavern, where it was running away from a storm which a Primal Kyogre was causing. In the Ruby & Sapphire chapter, Ruby was attacked by a group of Mawile when he met Steven Stone in Granite Cave. 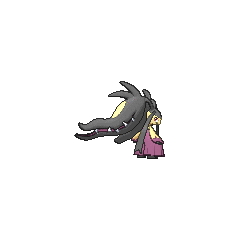 A Mawile also appears in the Emerald chapter, used in a battle by Factory Head Noland. After Guile Hideout assumed control of the rental Pokémon, Emerald pacified this Mawile and returned it to Noland's control. Noland has kept this Mawile as his own Pokémon, even during the Omega Ruby & Alpha Sapphire chapter. 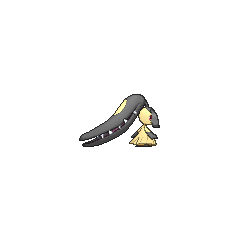 Mega Mawile appeared in a flashback during the X & Y chapter, its Trainer assumed to be one of Gurkinn's disciples. 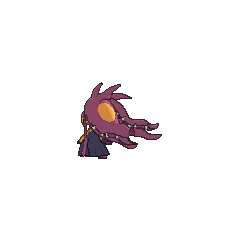 Draconid Tomatoma owns a Mawile which first appeared in the Omega Ruby & Alpha Sapphire chapter. Mawile's huge jaws are actually steel horns that have been transformed. Its docile-looking face serves to lull its foe into letting down its guard. When the foe least expects it, Mawile's chomps it with its gaping jaws. Both also have the lowest base HP stat of all Mega Evolved Pokémon.